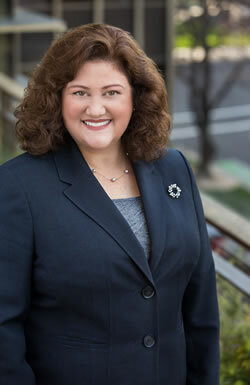 Keeva Coe has extensive experience in commercial real estate and business law. She represents real estate owners, developers, buyers, sellers, investors, landlords and tenants in planning, negotiating, documenting and closing a wide range of commercial real estate and business transactions. Her practice focuses on real property development, large complex purchase and sale transactions, 1031 tax-deferred exchanges, and representing developers in the creation of mixed-use, condominium, and master-planned communities. Keeva has considerable experience representing clients in easements, pipelines, subdivisions, CC&Rs, REAs, various communications facilities transactions, and office, commercial, industrial, telecommunications and agricultural leases. Keeva represents clients in purchases, sales and leases of environmentally contaminated properties. She provides representation on development and operation of business parks and residential subdivisions. She also advises clients in the formation, operation and dissolution of business entities. Keeva is an AV® Peer Review Rated lawyer, the highest rating given by Martindale-Hubbell for legal ability and ethical standards. Representation of buyers and sellers of real estate in large, commercial, complex, multi-party purchase and sale transactions and exchanges of land, buildings, coastal properties and pipelines. Representation of clients in buying and selling and leasing environmentally contaminated properties. Representation of telecommunications providers and colocation users in development, construction and leasing of hubsites, network operations centers (NOC’s and Super-NOC’s), data centers, call centers, transmission towers, redundant fiber connections, fiber installation and services agreements and satellite dish farms. Negotiation and documentation of various agreements for all aspects of real estate ownership and development including: options, ground leases, exchange agreements, financing transactions, subdivisions and easements, sales of land, road easement and maintenance agreements, tenancy in common agreements, boundary line agreements, lot line adjustments, lot mergers, construction contracts, covenants, conditions and restrictions, and reciprocal easement agreements. Advising clients on the formation, operation and dissolution of business entities. Representation of landlords and tenants in the negotiation and preparation of office, industrial and commercial leases and subleases. Sacramento County Bar Association, Real Property Section, President (2003), Vice President (2002), and Secretary (2001). Commercial Real Estate Women of Sacramento (CREW), Board of Directors (2001-2002), Chair of Membership Committee (2002), and Chair of Member Services Committee (2001). Leadership Sacramento - Class of 2002, Sacramento Metropolitan Chamber of Commerce. Women Lawyers of Sacramento, Board of Directors (1999-2001), Legislative Committee Chair (1999-2000), Bar Delegations Committee Chair (2001). California State Bar Association, Real Property Section, Active Member since 1995. “Fundamentals of Real Estate Closings in California,” Lorman Education Services, Sacramento, February 2004, 2003 and 2002. “Affordable Housing in the Sacramento Region,” expert panel organizer and moderator, Sacramento County Bar Association, Real Property Section, January 2004.